The eighth of March comes this year amid a lot of variables on the local, regional and international arenas .The status of women is getting harder, numerous violations of their rights are being exercised, including the right to life and freedom, and women are exposed to the worst forms of crimes, and sexual and physical slavery. 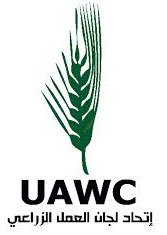 At a time when demands are resounded, workshops and conferences are held to call for justice and empowerment of women and the protection and development of systems and laws to conform with this era, the Palestinian women, at home and in the diaspora, are still the prominent address for violations. Until this moment, there are still more than 58 Palestinian women detainees in Israeli prisons, of whom 12 minor girl, and mothers tear from their families. The prisoners are living in inhumane conditions and the worst repression and abuse methods are exercised upon them, and they are deprived of food and medical treatment. Statistics indicate that more than 15 thousand Palestinian women entered Israeli prisons since 1967. Since the outbreak of Al Aqsa Intifada, the number of women who were executed in the streets, at the hands of the occupation forces and the settlers reached 27 women out of 294 martyrs fathers, sons and husbands who were killed by the Israeli occupation since October 2015. This is an indicator that demonstrates the deprivation of Palestinian women of her right to life by the occupation which does not recognize or care for any of the international conventions and treaties due to the because of the global support in general and the US in particular, and the international cover. The oppression against the Palestinian women is not limited to one form, but it includes the killing and the arrest of her children and husband, the demolition of her house, and depriving them of their right to access health and education services and work places through military checkpoints, repetitive closures and the separation wall. And as they are denied from their right to live in dignity as the Israeli occupation and the settlers have confiscated Palestinian land and water and put restrictions on urban expansion thus women have lost their sources of living. The conditions through which the Palestinian women in the Gaza Strip has been living is devastating after ten years of siege, which imposed on its residents new ways of life, where women were mostly affected. Today, women in Gaza have been facing restriction on movement as they cannot reach out to treatment centers in the West Bank or even abroad. Also, many of them are still living in houses made of tin or out in the open space since the last Israeli war on Gaza, which caused the demolitions of thousands of homes, and still refuses to allow the import of construction materials there. Along with that Israel is depriving the population of Gaza of electricity and water, and make them live in continuous fear of outbreak of war again. In the occupied Jerusalem, the conditions in which the Palestinian women have been living can be described as being terrible due to the Israeli systematic oppression and the settlers attacks strictures and settlers on homes, women and children. Also, the Israeli occupation has been preventing the construction homes, there is increase on the rate of home demolition, and the confiscation of land in favor of the settlement. Along with that the Israeli occupation is still denying the unification of family members from Jerusalem with their family members from the West Bank. This is in addition to put the obligation on the residents of Jerusalem to pay high tax and constraining the work of the Palestinian organization working in Jerusalem and closing many of them. At the local level, the Palestinian women are still vulnerable to marginalization and dispossession, deprived from dignified life. This is in times, when there is delay on changing the Palestinian laws, treaties, rules and conventions to ensure protection of women from gender based violence. Here, it has been recorded that there was about 18 cases of women killing under what is so called family honor and in most cases the criminal was not punished even though it has been discovered that the killing was due to other motives. In the Diaspora, especially in Syria, the Palestinian women have endured so much pain due to the ongoing conflict as she was exposed to murder, she was deprived from its right to life and she displaced in exile. Then, she has to face to racist laws of the right-wing parties and the conservatives in Europe and America, which deny them from living in safety. This was endorsed by the last decision made by the US president Donald Trump toward women and people of the South. 1. The importance of supporting the steadfastness of the Palestinian women in the face of deliberate systematic murder, deprivation of liberty and the demolition of homes, building of settlements by the Israeli occupation. These systematic violations should be brought to international court in order to force the international community to advocate for protecting the rights of women according to international laws and conventions. 2. Advocate the Palestinian decision-maker and the political parties in order to amend legislation and existing laws, particularly the Jordanian punishment law of 1960, which has been applied Palestine and to update these laws in a way that ensure of empowering women in all the sectors. 3. Activate the role of the media and train and advocate the media professionals towards ensuring policies and parties, which are gender sensitive and advocate for issues related to women rights out of the scope of the traditional image of the Palestinian women that have been presented in the media for decades. 4. Strengthen the partnership between all the institutions that believe in working towards the elimination of all forms of discrimination against women. This should not be confined to not just occasional reaction to certain events or anniversaries. On the contrary, it should hard work with various official and public and private bodies to perpetuate a culture of gender equality. 5. Palestinian official system required to apply all international treaties and conventions related to human rights, women and stop all exclusionary and discriminatory policies. 6. Invite international parties and friends of the Palestinian to implement all of international treaties and conventions especially those related to women. 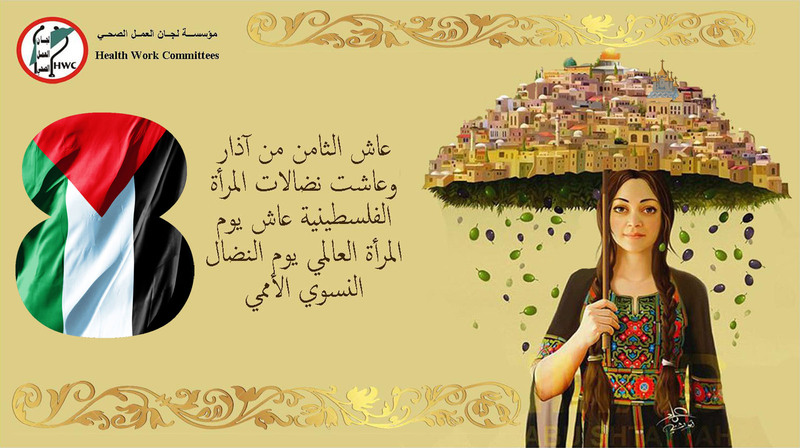 Salute to eighth of March, and salute to the sacrifices of Palestinian women and salute to international women's day.